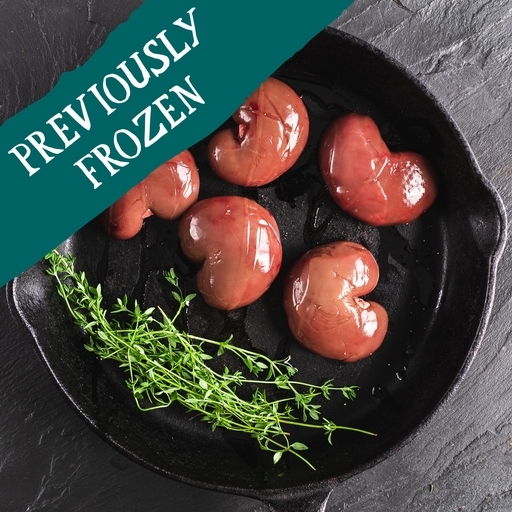 Our organic lamb kidneys are juicy and flavoursome. We hand trim them carefully, so they’re ready to cook in minutes. Just the thing for luxurious mixed grills, rich pie filling or warming casseroles. If you prefer a milder taste, soak in milk for 30 minutes before cooking. Serves 3-4. Previously frozen - not suitable for home freezing. Defrost thoroughly before use. Trim away any excess sinew or fat. Coat them in seasoned flour. Fry in hot oil and butter for 2-3 mins each. They are best lightly pink in the middle; cook longer for well done. See our website for a devilled kidney recipe, or use in a steak and kidney pie. Keep in the fridge below 5˚C. Pre-frozen, do not refreeze.